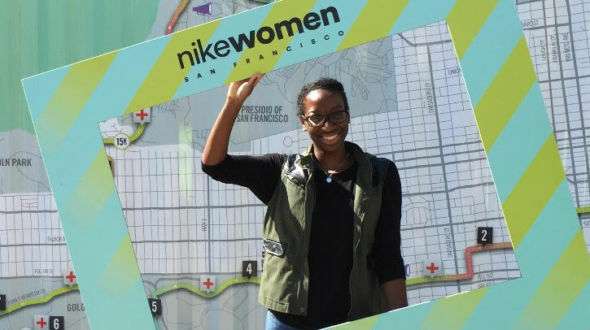 Urban Initiatives – Team UI Runner Profile: Meet Nicholette! Nicholette Cameron. I was born and raised in New York City. I moved to Chicago after graduating from Miami University (Ohio) two years ago. I don’t think I can pinpoint one favorite song. My running playlist is a mix of 90’s hits, reggae, hip hop and pop. I was first introduced to Urban Initiatives at a Chicago Cares event that was held to match young professionals with non-profit Associate Boards. As someone who grew up playing soccer, I could personally relate to UI’s mission and after volunteering at the 2015 Work to Play Cup I knew I wanted to get involved and support this amazing organization. Truthfully, I never thought about running a marathon. However, when presented with the opportunity to take on a new challenge while supporting an organization I truly believe in, I couldn’t pass on the opportunity. What keeps me motivated is knowing that my training & fundraising efforts will support all the kids that UI serves. The biggest challenge has definitely been finding the balance between work, training, vacations, and enjoying the Chicago summer. Let’s just say running this marathon is helping me become more of a morning person! Previous Article: Team UI Runner Profile: Meet Justine!